Our Firm is one of the market leader companies on the hungarian cemetery candles market. Many years we have been developing the cemetery candles market and the adoption of glass candles. In the last 10 years our company has been growing, had financial stability and reliabilty. Branding was also necessary on the cemetery candles market. We have opened our depot in summer 2007 located in Lajosmizse near the highway M5. Because of the advantageous territorial location we can grow our capacity and transport flexibilty. With the growing of our market share it was necessary to build a new logistic center. In 2012 with . In 2012 we managed to build a brand new 1,200 m2 warehous with support of the European Union within the framework of the New Széchenyi Plan. 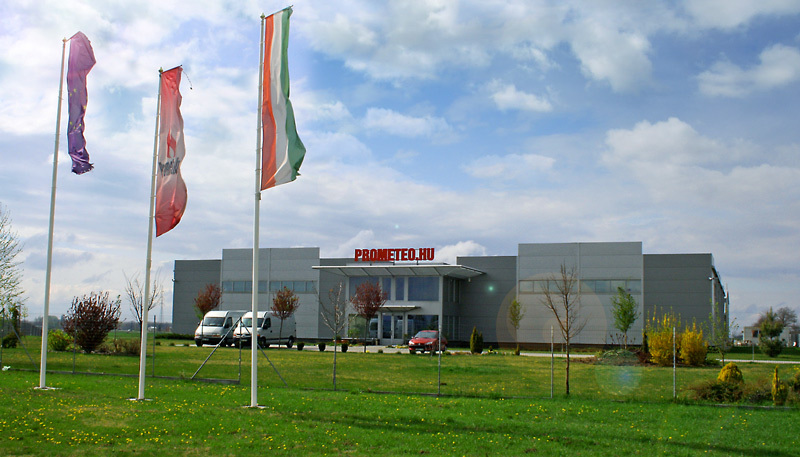 In January 2013 we established our company in Romania, with the name of Prometeo Candela SRL. As a result of this our products can be found on many retail chains (Cora, Professional, Kaufland, CBA, etc.). shelves all over Romania. In Romania we serve our clients from Arad. Many multinational companies and wholesaler belongs to our partners and we hope that it can be extended. Our products are made in experienced Polish factories. We are controlling the whole production and transportation process. The products are made from great quality minerals and paraffin according to the market expectation. The many years experience guarantee you the highest quality and best price. Besides cemetery glas candles we are selling tealights, oil candles, candle refills and electric candles. Have a look at our newest antique - and golden effected glass candles from our collection. Prometeo.hu. Your cemetery glass candles expert!